I’m just grabbing a few moments from leave to bring you up to date on the parking charge debacle. Despite a cabinet member promising us he would ask for changes last week, council officers said yesterday that the paperwork is finalised. No changes are possible. That means it is all down to the cabinet tomorrow. Philip Dunne has protested to the council leader calling for a review or delay. Join us for our public protest at 6pm in Castle Square tonight. The new parking regime is being driven by an ideology that believes that standardisation across the matters more than the economy of our market town. It is a Shrewsbury centred policy. It fails to recognise that Ludlow is a rare example of a successful small market town precisely because it is not like anywhere else. That means we need a customised parking regime. At 12.30pm tomorrow, Shropshire Council’s cabinet meets in Shirehall to agree the new parking regime. Concessions have been made in recent days for Shrewsbury – though there will also be a protest in Shrewsbury tonight. Ellesmere, represented by the cabinet portfolio holder for transport, has been dropped out of the new parking regime. 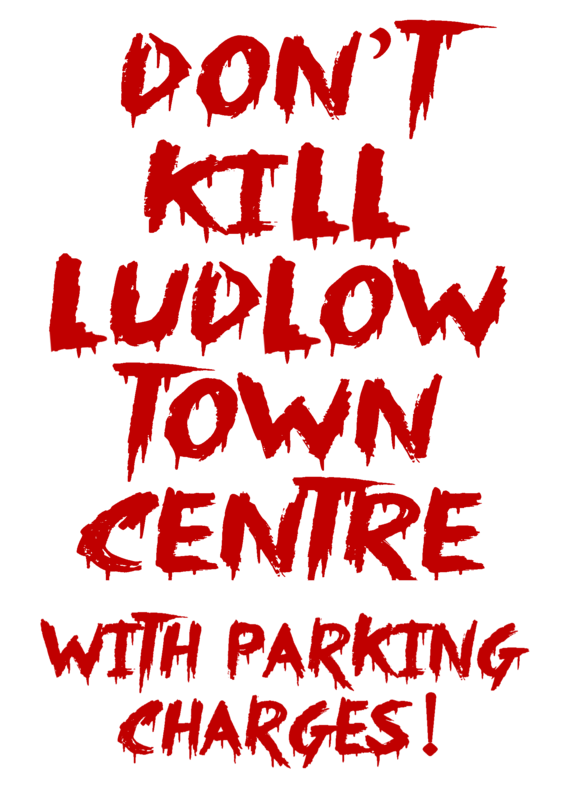 Concessions for Ludlow? None. Zero. Zilch. Just reneged promises. That is why we are protesting in Castle Square tonight. Please join us. The economy of a market town can be killed at the stroke of bureaucratic pen. No one knows how to revive a crippled town centre. That why the government minister for high streets, Jake Berry, called for free short term parking in town centres. We need four straightforward changes. If Shropshire Council wasn’t so blinkered it would have agreed these changes by now. 4) Banning market traders from parking their vans within half a mile from their stalls without paying £1.80 an hour. That will damage a thriving market that is already showing evidence of slowing. We won’t get these changes unless we shout out loud. The time to do that is 6pm tonight on Castle Square. Please join us.